Don’t look at the photograph now. Just believe me. 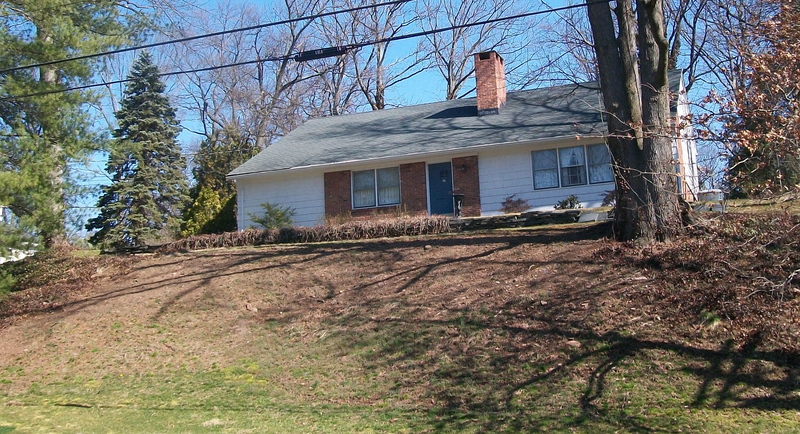 When I was in middle school we lived in this house on Minisink Way in Westfield, N.J. The house was on top of a huge, steep hill. Here’s the proof: we gave directions to “the gray house [it was gray then] on top of a hill.” And people found us. More proof. The hill was too steep to plant grass. We had ivy which my father weeded. He didn’t use ropes and pulleys only because he was so sure-footed and determined. And the snow days! Kids came from miles around (ok, houses around) to go zooming down the hill, their lives protected only by the semi-vigilance of a lookout stationed at the bottom, mostly busy making snowballs to pelt the descenders. 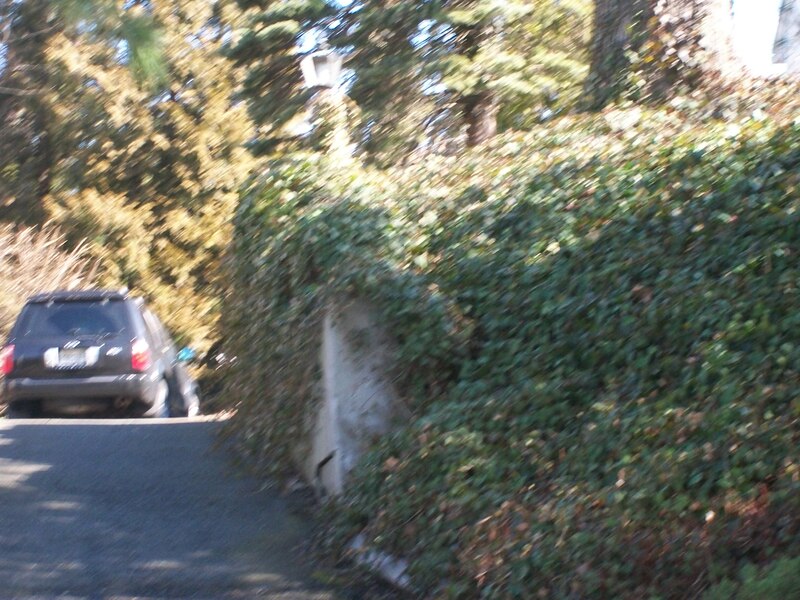 Our driveway (don’t look at that picture yet either) was correspondingly steep. Proof: one winter it was too iced for car traffic and my father couldn’t shovel because he was laid up with a knee injury caused by showing off on my stilts (another blog). So my Uncle Arthur couldn’t come for New Years because aged, lame, tiny (well-named) Great-Aunt Minnie couldn’t walk up the hill. See? And also: after walking a mile and half from Roosevelt JHS, carrying my books (bikes weren’t cool then), it nearly killed me to scale those last yards up the driveway and collapse in the kitchen, spraying books around and demanding a snack. Then this spring we visited a friend in New York and Gary who by chance had moved from London to Westfield (that happens). To humor me, we did a drive-by of Minisink Way and what happened? Now you can look. The hill is not notable at all. It’s sort of mundane. The only thing my sister and I can figure is that people lifted up the house and while it was suspended, with huge machines they scooped off the top of the hill (as for mountain top removal coal mining) and then gently set the house down on the resulting hummock. There is absolutely no other explanation for this mystery. P.S. The blue spruce was very small, but I know how it got big.